DESCRIPTION DOWNSIZING? Looking for a spacious bungalow with a great view? You just found it! Upon entering this home, you will first notice the soaring 10' CEILINGS on the entire main floor. The large office right off the foyer with its double french doors gets tons of natural light. The kitchen includes gorgeous WHITE cabinets, QUARTZ countertops, CHIMNEY hoodfan, GAS stove and tons of storage space in the walk in pantry. The living room and dining room are situated to accommodate any holiday! The deck off of the dining room makes BBQ'ing with a view easy! Heading into the master suite, you will find a VIEW OF THE CANAL, DOUBLE sinks in the ensuite, soaker tub, tiled shower and walk-in closet. The second bedroom on the main floor is perfect for an exercise room or guests with its full second bathroom. The laundry room/mud room includes extra cabinets for storage, another closet and hanging rod for clothing. Sunshine basement ready to be developed! You cannot beat this view, come and check it out today! 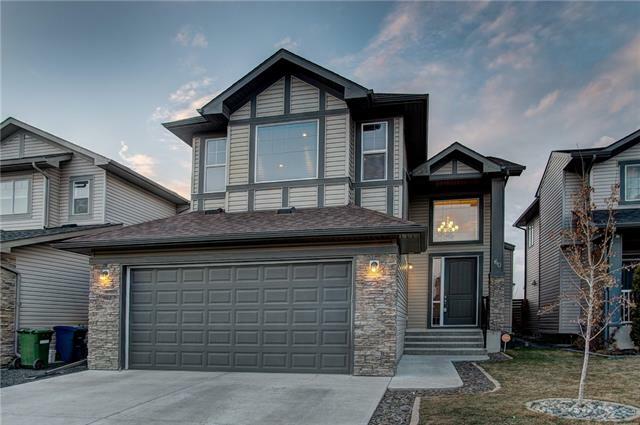 1351 Bayside Dr, Airdrie, Alberta, MLS® C4215289 T4B 3E5 is a Detached, 2 bedrooms, 2 bathrooms, approximately 1,472 Sq. Ft. 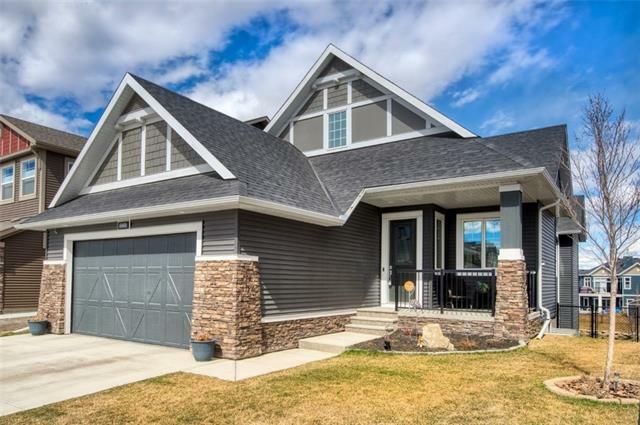 Listing price 582,000.00. This property was built in 2018.